Last year, Google released a mobile app for iPhone that lets you search many data sources from a single location: web pages, local businesses, contacts. 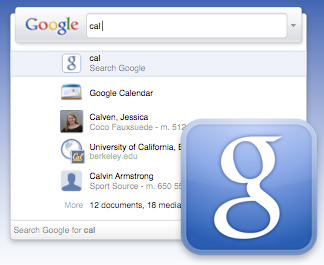 A similar application is now available for Mac OS X 10.5 Leopard and it's called Quick Search Box. Nicholas Jitkoff, Quicksilver's creator, is one of the developers. The application is a powerful box that works as a program launcher, address bar, Google search box, desktop search box, calculator and weather gadget. The source code includes modules that integrate data from Google services like Google Bookmarks, Gmail and Picasa Web, so the application has the potential to become the central point for accessing Google. "For the last year, we have been working on a new, open-source quick search box. Today, we are releasing our first developer preview for the Mac. This Mac version is much more experimental than its iPhone sibling, Google Mobile App, and through it you will be able to see many of the areas we are exploring: contextual search, actions, and extensibility. It is by no means feature-complete, but is a very good indication of things to come," explains Google. Quick Search Box is also a feature of Google Desktop, but it's unfortunate that Google didn't integrate more data sources. My favorite Windows Vista feature is the ubiquitous search box. Some interesting alternatives are Launchy, an extensible application launcher for Windows and Linux, and Mozilla Ubiquity, an experimental project that makes web applications more useful. All of them are powerful command-lines that expose information from your computer or the web. While I love all the Google products, I think that Mozilla Ubiquity has huge potential. I'd like to see it become more standard. Yes, Windows Vista's best feature is the search box--that in itself is reason enough to upgrade! There is a tab called "Accounts" in Quick Search Box's Preferences. I wonder if anyone has actually added their Google account credentials there? I'm a bit hesitant at this point. hello I've had this application google ctrl space but now that I formatted the laptop can not use this application over someone I'll tell you why? is there a command or script so that i can put ubiquity or quick search box on my desktop and keep it their without it vanishing?